This example wants to show you how to make use of Apply For rule for services. 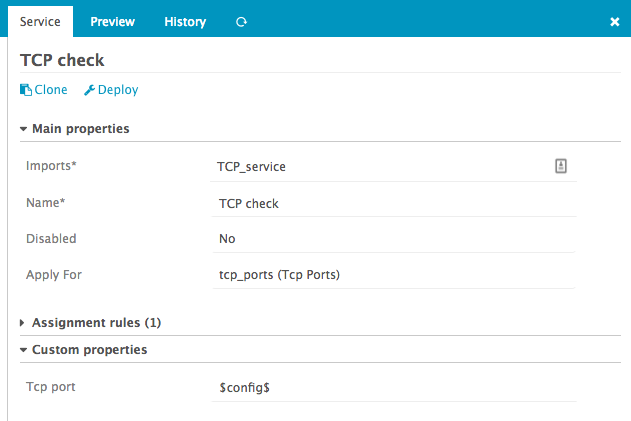 First you need to define a tcp_ports data field of type Array assigned to a Host Template. Refer to Working with fields section to setup a data field. 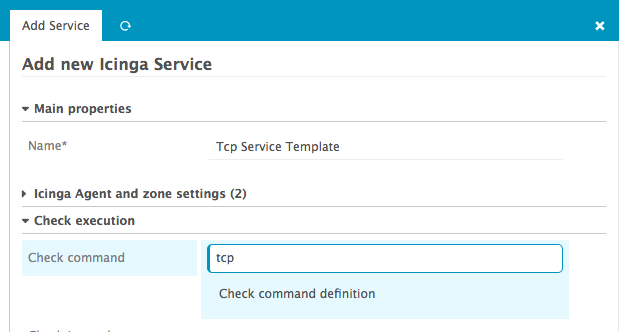 You also need to define a tcp_port data field of type String, we will associate it to a Service Template later. 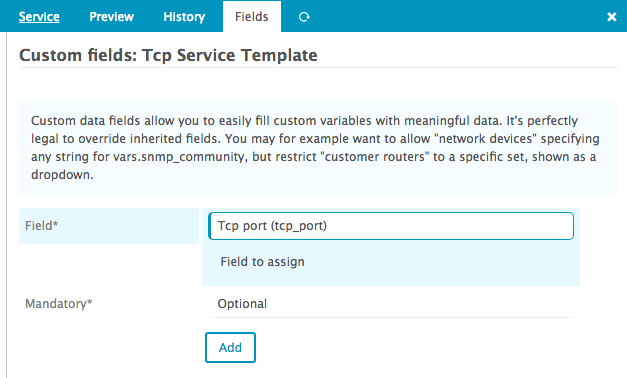 Now define the Apply For property, select the previously defined field tcp_ports associated to the host template. Apply For rule define a variable config that can be used as $config$, it corresponds to the item of the array it will iterate on. That’s it, now all your hosts defining a tcp_ports variable will be assigned the Tcp Check service.